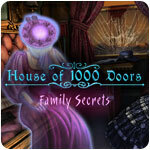 House of 1000 Doors: Family Secrets Game - Download and Play Free Version! Find the Relics and Solve the Riddles Hidden within Lancaster Manor! Kate Reed has been in a slump. Earlier in her life, she was a world-famous supernatural novelist. However, her inspirational spark disappeared a long time ago and her fame has dwindled ever since. But things are beginning to look up for her; one fateful night, she receives a mysterious invitation to a séance hosted by the one and only School of Spiritism. Though skeptical, she heads over there and gets the shock of her life; the ghost of her long dead grandmother appears to tell her about a dark family secret held up in the Lancaster Manor, otherwise known as the House of 1000 Doors. The mansion is described as being able to warp across time and space and it will be appearing in the city very soon. With no time to waste, Kate makes her way to the house and sees it appear out of thin air right before her eyes. The legends about it were true after all! Undeterred, she proceeds inside to fulfill her grandmother’s final wish, uncover the mystery of the house, and hopefully obtain inspiration for a new novel. Adventure aficionados may be familiar with the classic haunted house setting, but House of 1000 Doors: Family Secrets breathes new life into it by using an assortment of storytelling techniques that seamlessly blend interactivity together with the narrative to deliver an experience like never before. Watch the story unfold through a series of detailed and well-animated cutscenes. Interact with a variety of ghostly characters to help you on your way. Locate and pour over dozens of documents detailing the history of the House of 1000 Doors. Read Kate’s Journal to gain further incite in the story’s development. The House of 1000 Doors has hundreds of intriguing items stashed away in its halls. In order to explore the mansion to its fullest, Kate will need to obtain them all. Locate hidden compartments where more items are stowed. 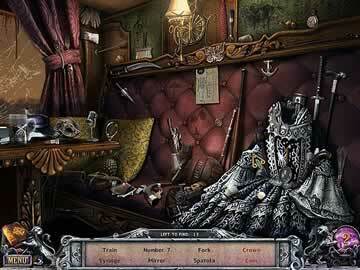 Find keys and solve puzzles in the manor to unlock sealed areas in the hidden object sequences. Look for 35 ghostly “Beyond Objects” hidden throughout the mansion. Assemble the image of a gargoyle. Get a model train up and running. Put together a series of mechanized fabrications. 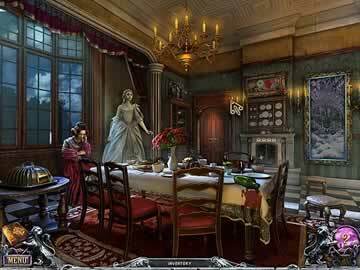 If you want to delve into an atmospheric hidden object adventure, you can’t go wrong with House of 1000 Doors: Family Secrets. It has complex puzzles, challenging HOGs, and a story that will keep you glued to the screen. Enter the titular house and solve the mystery today!